With full Health and Safety Executive Approval you can be guaranteed peace of mind and quality training meeting all current legislation. 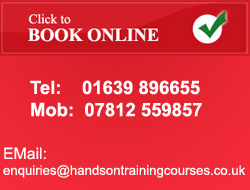 We provide training courses to companies of any size ANYWHERE in the UK. Our Aim To deliver cost effective, informed and commonsense First Aid training. Our Promise To have a flexible approach to assist the individual or group/company to meet their training needs, night time or weekend courses available.